Australian Motors was founded by the Hassan family in 1952 at Wayville, and has been located on Goodwood Rd, opposite the Royal Adelaide Showground ever since. We have been proudly servicing the motoring needs of South Australians for over 60 years, making Australian Motors one of the oldest and largest privately owned automotive retailers in South Australia. Australian Motors has long been known for our iconic jingle “The Great, Great Guys”, and we pride ourselves on living up to our reputation. We are still owned and operated by members of the Hassan family through our Managing Director, Mark Heyburn, son in law of the original “Great, Great Guy”, Morris Hassan. Our passion for continually offering the best range of vehicles has helped our motoring group expand into multiple specialist locations including our new state of the art Isuzu dealership, offering a huge range of the finest New Isuzu UTE and Used Vehicles, fully equipped Service Facilities and, of course, our famous customer service experience. 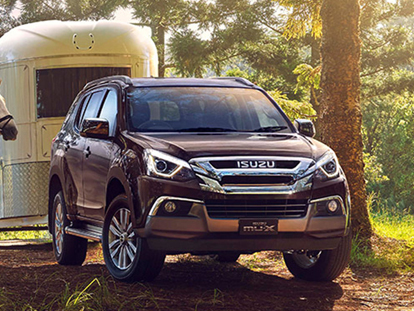 Contact Us today on 8408 4100 to experience the Australian Motors Isuzu UTE difference.